If you are looking for a unique location on Bonaire to celebrate your honeymoon, the luxury boutique hotel Bamboo Bali Bonaire might just be the perfect choice. 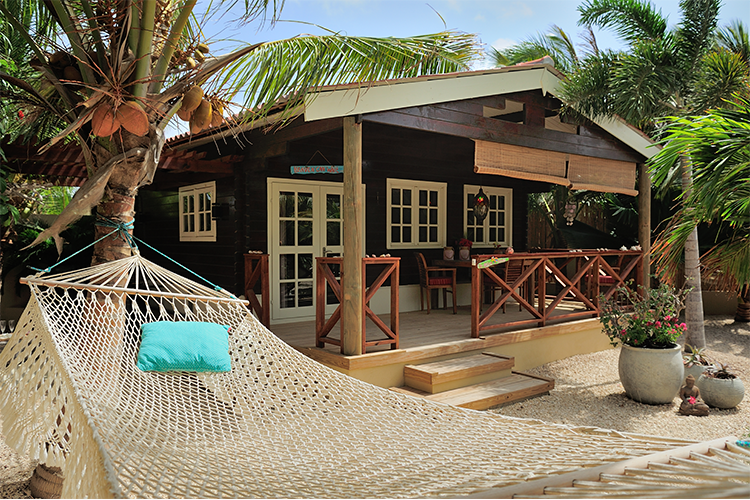 Far to the back of the resort…with lots of space around to enjoy private hammocks, BBQ, seating area & lounge chairs. The superior cottage chosen for your honeymoon has a very large shaded porch area to the front which is the perfect place to enjoy a nice tropical drink. The interior features a kingsize bed, tastefully decorated in ” romantic – style “. Included is a fully equipped kitchen, smart tv with DVD player, in room safe, ceiling fan, air conditioning and dining set. An inside door takes you to a little surprise…. 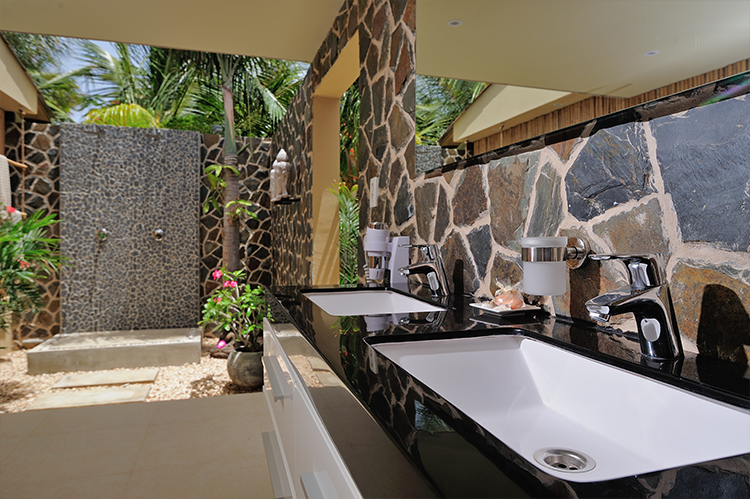 A separate half open/half roofed bathroom area with double sinks and an open air, 2 person shower with double shower heads. Take a few steps and you will walk into your own private garden surrounded by a jungle of tropical plants & high walls to secure complete privacy. Here you find more ways to relax. 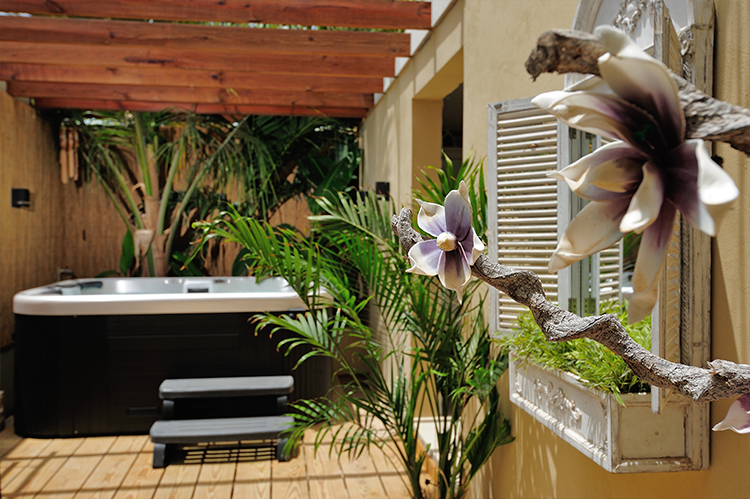 Your OWN Jacuzzi Spa….Just for you and your partner…! !